Shower your Mom a little bit of sunshine on her special day by giving her the limited edition Villa del Conte gift box that is sure to make her feel extra special. Give the best woman only the finest chocolates. Your heartfelt sentiment for Mom will shine through when you present her with this. 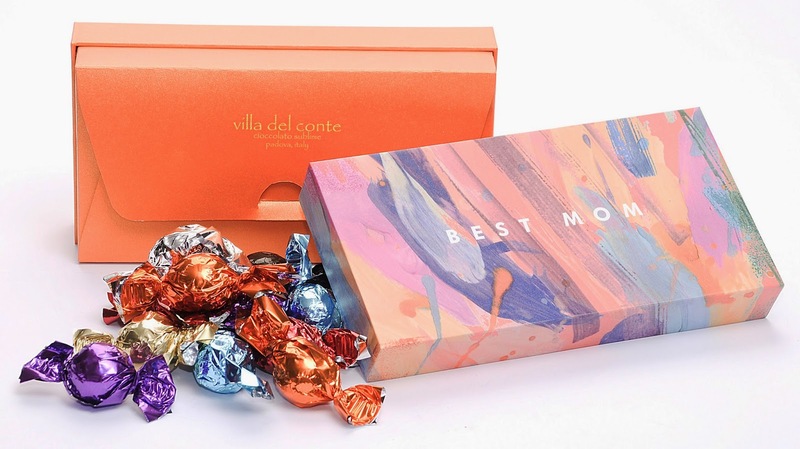 Let your mom know that she is simply the greatest with a box of premium chocolates from the famous Italian artisanal chocolate, Villa del Conte. It’s time to say thank you in a sweeter way. The limited edition Villa del Conte gift box for Mother’s Day has 300g of chocolates at the price of P980.00. Visit Villa del Conte at Greenbelt 5, Shangri-la Mall, Resorts World, Alabang Town Center, and Robinson’s Magnolia. Please call 893-2575 or 621-6101 for special orders.